Many people enjoy taking photos of their loved ones, pets, meals, and just about anything else that they see in their lives. Since the introduction of the smartphone, users now have cameras in their pockets at all times so it is even easier to snap photos of daily happenings. There are many different apps you can use for photography, but some are much worse than others. Most of the apps that transform a photo into something else are not great options for those who want to use their photos later. Many of these apps are designed more for entertainment purposes. 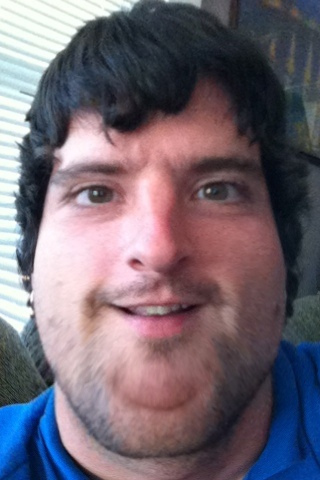 However, beware of whose photos you use in the Fat Booth app. If you fatten up your wife or girlfriend’s face, even as a joke, she might not think it is very funny. The concept behind the Manual app is that it gives you more control of the shutter speed, white balance, ISO light sensitivity, focus, and exposure compensation of your photos. In theory, the app transforms your iPhone into a DSLR. However, the interface is hard to use and your fingers will be in the way when you try to drag them across the screen to maintain control. The app also excludes photo editing, so even if you do capture a nice image, you will have to use another app to edit the photos. ProCam 2 is another app that tries to give you manual control of various aspects of photography. You can also use it to shoot video, since it includes stabilization, audio meter, and disk space monitor, so you know how much footage will fit into your phone’s memory. The main problem with this photo app flop is that it is one of the least intuitive apps for users of all skill levels. The row of indicators at the bottom look like places to tap and use the controls, but they don’t work. It is hard to tell what the purpose of this app is since it seems to be something that users might use once or twice. You can use it to crop photos into a square format, which is great if you plan to post them on Instagram. However, since the Instagram app already offers the cropping feature, along with editing services, it seems useless to download a separate app just for cropping. Unless your goal is to add toned abs to every subject of your photography, don’t waste your time with this app. In many of the camera and photo-related apps available in the App Store and Google Play store, developers seem to think that users want to add things to their photos. This is generally not the case, especially for those who actually want to use their phone cameras to take high quality images. As you continue to take photos with your phone, be sure to check out user reviews to figure out whether apps will offer any type of benefit your photography. Shaun Chatman is a seasoned writer featured on many authority blogs. Writing is his passion, and he spends most of his waking hours writing about everything from Tech to Education. He lives in Dunedin, Fl. Previous articleDibby: The App That Helps You Claim What’s Yours!